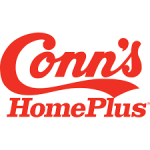 Conn’s Home Plus offers in-house financing for furniture, electronics, videogame consoles, big TVs, large and small appliances for the home, as well as a number of other big ticket purchases and customers with less than perfect credit may have had a hard time purchasing out-of-pocket. Conn’s Home Plus provides weekly and monthly financing options for the products that they sell, with a simple prequalification process outlined on their website for customers to take advantage of before they shop the online market. Those that are approved for financing will also be able to take advantage of free shipping and delivery on every order of a purchase from this company.